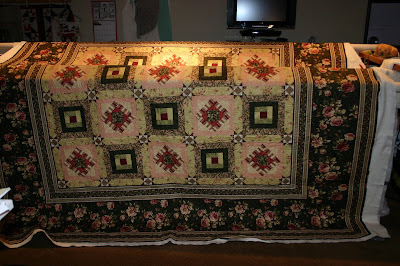 This is Janice's 'Winter Rose' quilt, I used a pantograph to quilt it all over. 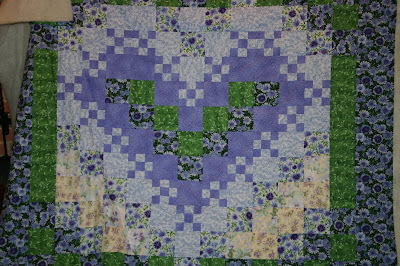 It was a kit that I originally custom quilted for Anne at the quitl shop. 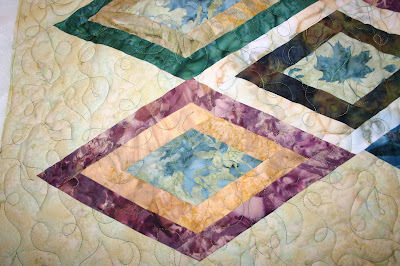 Rosemary's Batik Diamond quilt, all over leaf and loop quilting. It's so much more beautiful in person! Ruth's 'Romantic Heart" colorwash wallhanging. I quilted feathers around the heart. 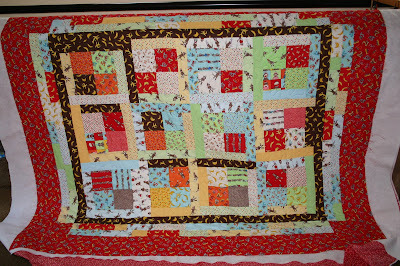 Joyce's Monkey quilt, for her first grandson, very cute! 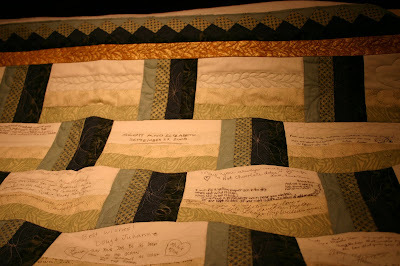 A wedding signature quilt made by Barbara, lovely sentiments written in the light rail fence blocks. A lot of stitch-in-the-ditch, leaves and dogwood flowers.